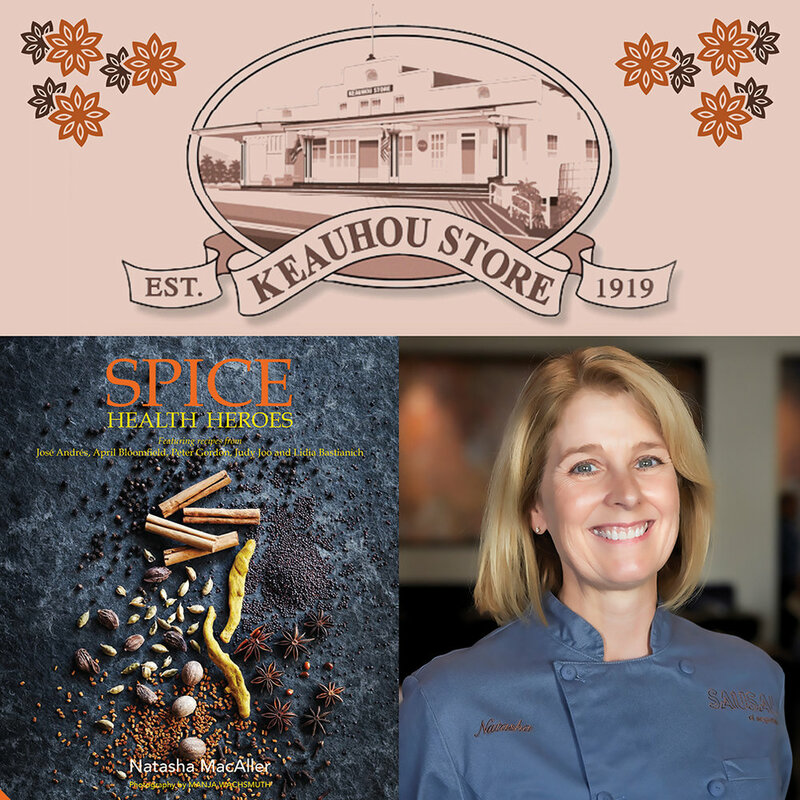 Join Chef Natasha MacAller at The Keauhou Store in Holualoa, HI – Friday, May 12, 2017 from 3:30-5:30 p.m. for a book signing and tastes from her new cookbook Spice Health Heroes. The book includes a detailed study of the history, myths and traditional uses of spices. The first part of the book examines the culinary, nutritional and medical applications of the everyday and more exotic spices found in your pantry. Medical and nutritional claims are backed by contributions from an impressive team of international medical professionals and institutions. Visit The Keauhou Store for location of their store.